So I’ve decided to expand my horizons further into the world of Microcontrollers. As a .NET engineer with little hardware experience I found that the learning curve to enter the hardware world has drastically decreased. 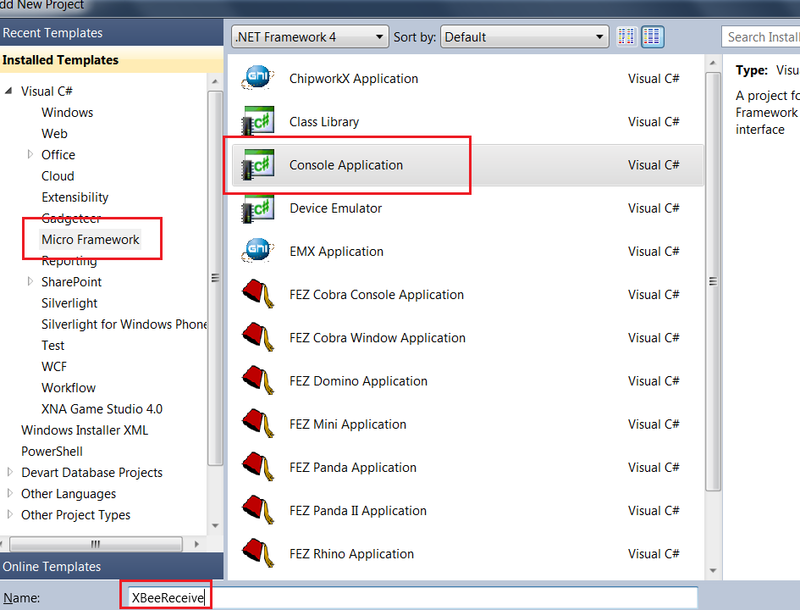 For my first attempt at deploying .NET code to a .NET Micro Framework compatible device I am simply trying to send anything from 1 XBee radio to a 2nd XBee radio that is connected to a FEZ Cerbuino Bee micro controller board. The radios are not using WiFi, they are using the 802.15.4 standard which is for things like smart home automation using the ZigBee protocol. But right now I’m not using ZigBee (I’m just sending plain ASCII characters through), therefore I will not explain the details of what ZigBee is or MESH networking or anything like that. In a future blog post I’m sure I’ll get in to those. - I am using two laptops to do this exercise but that is not necessarily required. 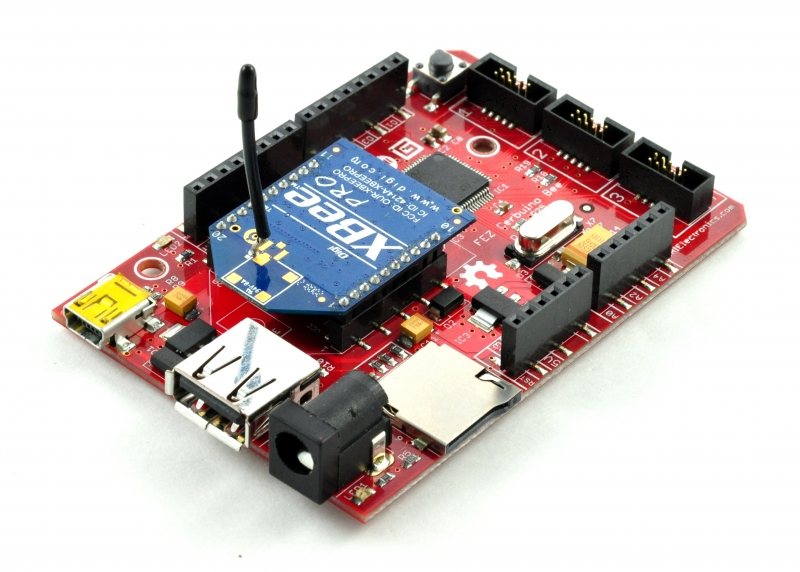 - I am assuming you have already set up your XBee radios for basic communication. I set them up from the tutorial in the popular book “Building Wireless Sensor Networks”. 1. First plug in the first XBee adapter to the XBee to USB adapter. 2. 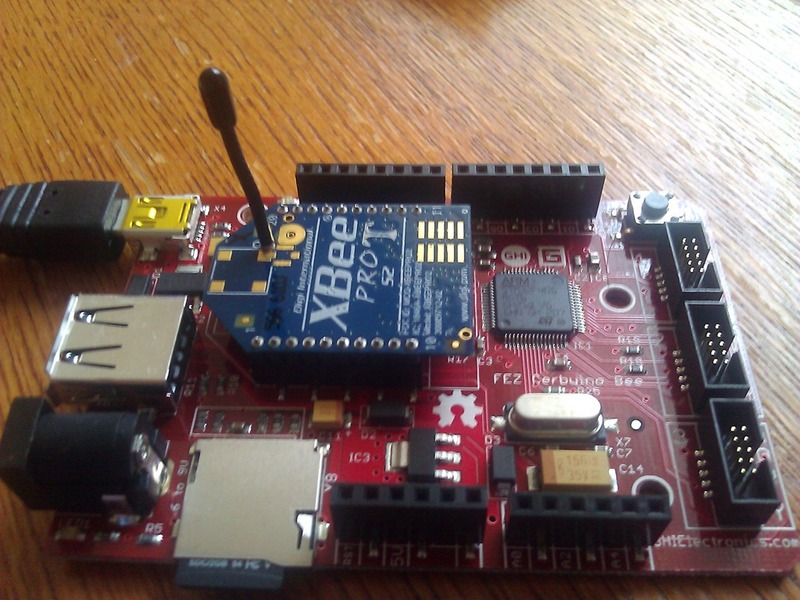 Open the X-CTU software that comes with the XBee radio and read the modem configuration. 3. The first radio should be set as a ZigBee Coordinator AT. 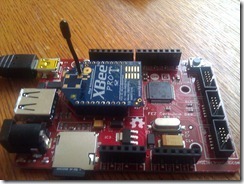 The 2nd radio (which will be plugged into the Cerbuino) will be a ZigBee Router AT. 4. 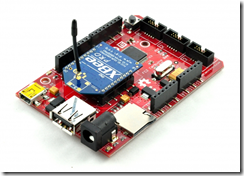 Plug the 2nd XBee (The one set as your router) into the Cerbuino. 5. 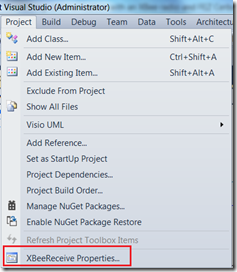 In your project properties, be sure to set the deployment device to your hardware. 6. 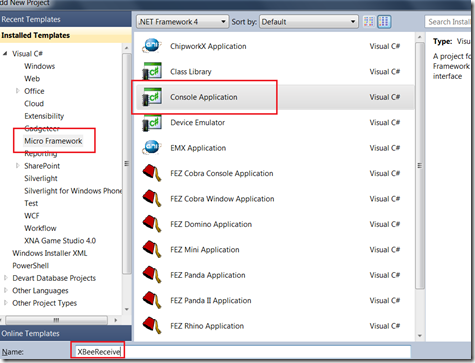 Create a new Micro Framework Console application called XBeeReceive. 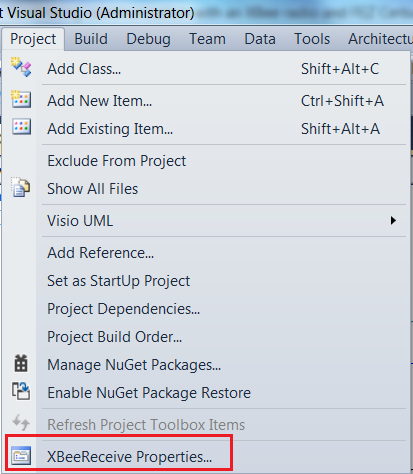 - Creating an OutputPort on the built in debug LED is always a good idea in any project. - Using the SerialPort object, you can create a connection from the Cerbuino board to the XBee. 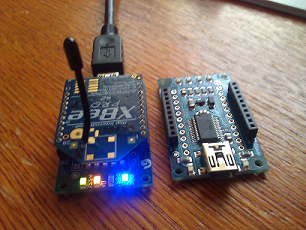 I connected to the XBee on COM1, but I don’t know if that’s hard coded or if that is configurable. It just happened to work. - Subscribing to the DataReceived event on the serial port object is where we make our connection between the two radios. - At the end of the main function, you will always need to do this to be sure the program doesn’t just load in the microcontroller and immediately end. As I have seen it so far in Micro Framework console apps, you generally have an infinite loop or event handler set up before calling this last. 8. Here is the complete code. This will write each message sent from the first XBee to the Debug window, one message at a time. Since I am sending from the first XBee using a terminal program (The terminal built in to the X-CTU software) the data is getting sent one character at a time so it is outputting one character at a time. To compensate for this I put a pause (Thread.Sleep) to let more characters build up in the buffer before I spit them out to the debug window. Be sure to watch the LED on your Cerbuino and see it light up with each character that comes through. He is the owner of Utah VoIP Store at www.UtahVoIPStore.com and SWS Development at www.swsdev.com and publishes windows apps under the name Blue Voice. Please advise how you connect the audio signal line (Audio in and out) for push to talk (PTT) implementation with XBEE module.